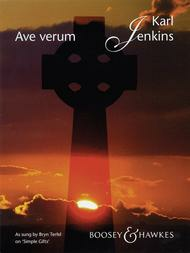 Ave Verum (Score and Parts). By The Canadian Brass. By Wolfgang Amadeus Mozart (1756-1791). Arranged by Fen Watkin. Brass quintet. For Brass, Trombone, Trumpet, Tuba, Horn. Brass Ensemble. 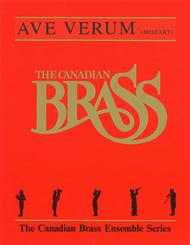 Published by Hal Leonard (HL.50483602).Canadian Brass. Ave Verum (Voice and Piano). By Bryn Terfel. By Karl Jenkins. For Piano/Vocal. Boosey & Hawkes Voice. 8 pages. Boosey & Hawkes #M060117794. Published by Boosey & Hawkes (HL.48019109).Recorded by Bryn Terfel on Simple Gifts (Deutsche Grammophon). 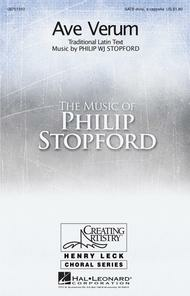 Ave Verum composed by Philip Stopford. For Choral (SATB DV A Cappella). Henry Leck Creating Artistry. 8 pages. Published by Hal Leonard (HL.8751310).Stopford's Ave Verum is scored for SATB divisi a cappella, but is simple and effective. With sustained and powerfully intense harmony, this motet is beautifully crafted and measured. Duration: ca. 3:30.